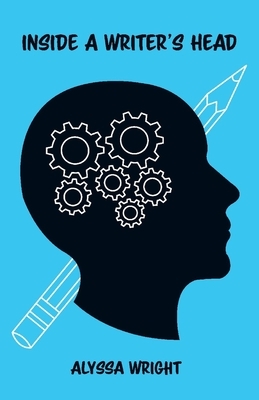 Inside a Writer's Head is a short collection of poems about all things writing. Topics include writing goals, writer's block, inspiration, ideas, and more. I came up with the idea for this collection when I realized how often I write poems… about poems. Or about writing in general. It's almost crazy how often the ideas I get that do end up written down are about writing itself. So this collection is all about that. The writing process, how it feels to be a writer on writer's block, not having ideas, etc. Alyssa Wright has been writing poetry and telling stories since she was about six or seven. Over the last eleven or twelve years, she has refined her writing through much practice. Alyssa currently lives in the St. Louis Metropolitan area with her parents, two younger brothers, maternal grandparents, two dogs, three lizards, and lots of fish. Her main passion is writing, and she is pursuing development of business skills to monetize her passion through the apprenticeship program Praxis. You can read more of her writing on her website alyssa-wright.com, and interact with her on Facebook and Twitter at the username @alyssacwright.